There is no doubt that the market for pre-prepared food and snacks for infants is changing rapidly. The category has morphed from a simple selection of jarred purees, to an exciting and innovative array of pouches, mini-pots, steam-meals, sauces, baby pasta and even baby stock cubes. The list goes on and is constantly growing. So what’s going on out there? And where are the opportunities… ? Little Dish – they have been around for a little while now. They spotted an opportunity for slightly older children, and in doing so inspired the trend of keeping mums locked into the category for longer. They also bravely entered the chiller, exposing themselves to mums who don’t usually enter the baby food aisle (potentially put off by its processed connotations) and creating a new, fresh (therefore less processed, more natural than ambient?) market for baby food. They’ve been producing baby foods for years, but Heinz’s recent quick win innovation highlights the increasing need to be able to demonstrate tangible and competitive nutritional claims in this category – see their 2/5 a day communication on pack below. They said themselves: “Our consumer insight has shown that mums’ idea of a perfect drink for their babies is one with nutritional benefits.” (Food & Drink Innovation Network) It’s also demonstrative of recent innovations that move away from the traditional weaning jars, to products suitable for older babies/younger children. Another key insight from this category is mums’ desire to introduce their children to a variety of tastes. “I don’t like fish but Little Dish ensures my son gets used to the taste of fish and does not become fussy like his mum.” says Leanne, mum to Archie (Little Dish). 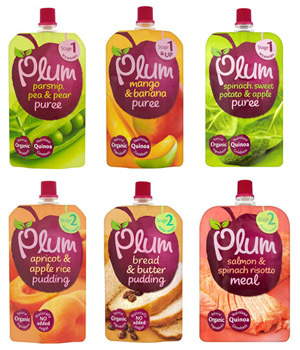 Cue Plum’s recent expansion of their range of gourmet meal pouches. The adult recipes and tastes form part of their brand mission to introduce babies to a range of different and sophisticated tastes. Plus their quick win innovation is also driven by their own insight: “mums are looking for seven days worth of flavour options in a pouch format” (Food & Drink Innovation Network). The Mintel report also showed that “The 54% of parents who regularly cook could be persuaded to purchase manufactured products by marketing the fresh and natural nature of ingredients in baby food products.” ‘Mrs Tinks has prospered from a product proposition that builds on this insight: Mrs Tinks herself started as a mum in her kitchen inspired by how much her children’s friends enjoyed her homemade food, she started making home cooked food and selling to the other mums. The small but rapidly expanding deli, home delivery and local Budgens listed brand continues to be positioned with a homemade look and feel with its implicit fresh and natural connotations. Even chocolatiers are on the case with this trend… At first glance there is nothing healthy about Hibbi Children’s Chocolate – one of the variant contains popping candy! Still they are retailing as portion controlled bars. Plus the brand positioning sees the hero ‘Hibbi the Hippo’ always being active: cycling; skateboarding or running. Hibbi has seized upon the growing trend for “healthier” convenience food for very young children and the disappointing lack of chocolate innovation, with good old fashioned pester power. Just in case there is any doubt about the size of the opportunity, be encouraged by the fact that UK mums are having more babies – 802,700 babies were born in 2010, the highest rate since 1972 (The Grocer, 21 Jan 2012, “For Baby only the best will do”). And according to the aforementioned Mintel report UK birth rates are predicted to grow again in 2014, creating an upsurge in demand. Different positioning… In the USA Happy Families have just launched not one, but fifteen new lines. Their brand proposition challenges the typical natural/no nasties approach, with a philosophy focused on nutrition richness. It feels like the usual no nasties/natural claims have become expected/given/mandatory and Happy Families have therefore leap-frogged the competition with their added value “nutrition rich” proposition. They use less “free from” language, and talk more about “nourish, satisfy” and make claims like “as much protein as one egg.” So with competition in the UK getting tougher between brands like Hipp Organic, Organix, Ella’s Kitchen and Plum, who will be first to adopt the nutrition rich brand proposition in the UK? Or will another brand with the right credentials steal the opportunity. Innocent? The Food Doctor? Innovative claims… Sticking with USA company Happy Families. Their innovative range of products include pro-biotic cereals. Again, who will pick up the mantel of probiotic food for babies and young children in the UK? Perhaps Danone? Review your brand architecture… If you already make baby food or milk products consider the Organix approach to brand architecture. Organix’s challenge was to stretch the brand beyond their traditional baby foods to snacks and meals for older children. They’ve wisely created sub-brands like ‘Goodies’ and ‘Mighty Meals’ to help achieve this. The ‘Goodies’ sub-brand allows them to feel less serious and worthy and to have more fun, reflecting what snacks are all about. The sub-brand also allows them to introduce some visual ‘kids-appeal’ instead of just talking to mum. The result is that they feel credible as a snack for slightly older children. And in visually distancing slightly from their core range they can build on the power of the Organix brand, without damaging their credentials in weaning and early tastes. Note… This also becomes more important as the category becomes increasingly larger and more complex, therefore harder for the consumer to shop. Busy mums need to find your product, get what it is and understand it’s intended usage (e.g. babies or toddlers, meals or snacks) in an instant. So, as the category becomes more sophisticated it’s increasingly more important to differentiate your products and ranges away from each other as well as from the competition. Transfer your existing brand values into the category… Rachel’s recognised that their existing brand values, pure and organic, are a great match for the infant food category. So they launched the “My first tastes” range for young babies (from 4-6 months) and “Taste Explorers” for toddlers. 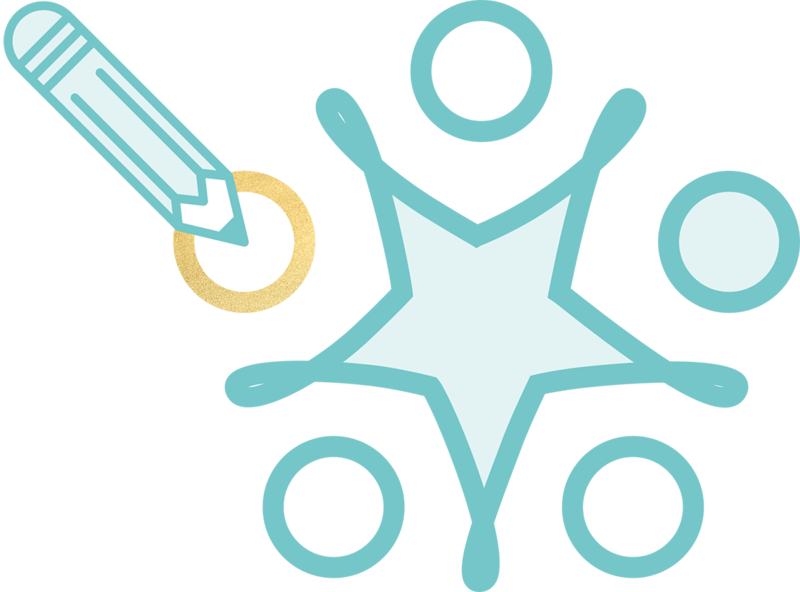 Brand tie up… If your brand values don’t quite cut it in this category – who could you tie up with to create the right mix of credentials? 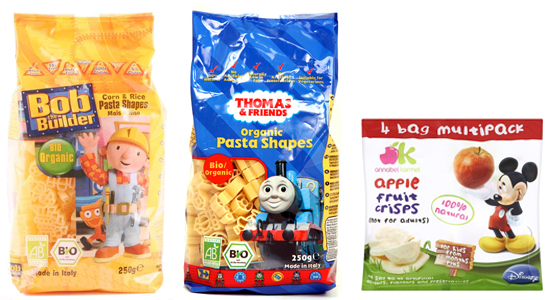 For example, Birds Eye has the convenience factor and is building its innovation, freshness and nutrition credentials really well – could Birds Eye tie up with another brand to bring a credible frozen range to the babies/toddlers category? Could frozen feel less processed and artificial than some of the ambient offering and even target more discerning consumers? Licensing… It’s not sophisticated but it works… Plus aiming for a slightly older toddler age group means you should have less legal restrictions to negotiate. Clear packaging communication – the category is almost becoming a microcosm of the supermarket. So any brand that successfully aids the consumer in negotiating the growing plethora of products available, making it really easy to shop the fixture, should see some quick wins – and potentially emerge as the category leader?